This catch-photo-release tournament is open to any angler in a non-motorized watercraft, fishing with one rod at a time. Submit the completed entry form and submit with your payment by Friday May 17, 2019. Anyone entering before 5pm on May 3 will be entered to win additional prizes. Saturday May 18: Meet inside the Elephant Butte Lake State Park Main Gate between 6:30 and 7am. The tournament begins at 7am and ends at 3:30pm. Photo files must be delivered to Zia Kayak Outfitters by 4:30pm. 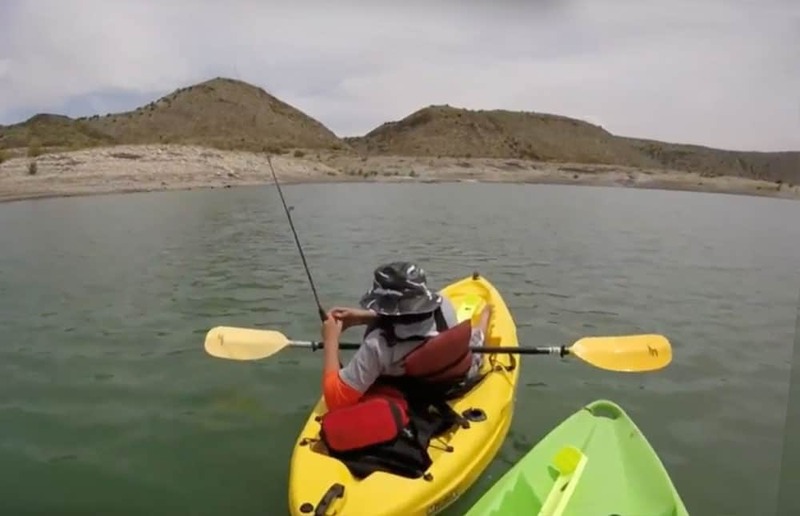 Kayak launching spots include Marina del Sur, Rock Canyon, Dam Site Marina and shoreline areas known as Dirt Dam, Lions Beach, Rattlesnake Island, Hot Springs Landing Cove, Long Point, Lost Canyon, Three Sisters and Monticello South Point. Be aware of soft sand areas to avoid getting stuck even with 4-wheel drive. Email EBkayakT@gmail.com) or all call 575-744-4185 for more information.